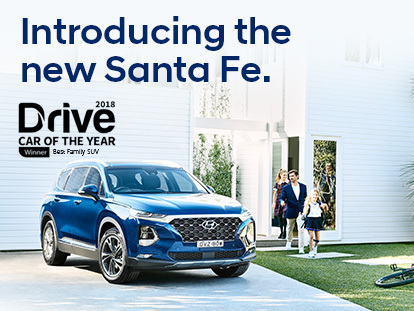 Introducing the new Santa Fe. All cars must be ordered between 8-9th December 2018 and delivered by 31st December 2018. *Drive away price includes 12 months private registration, compulsory third party insurance and stamp duty. Offer valid while stocks last and excludes govt, fleet and rental buyers. This offers is exclusive to Col Crawford Hyundai who has the right to change, supersede or extend these offers at its discretion. Col Crawford Pty Ltd. Is licensed under the Motor Dealers and Repairers Act. 2013. License Number MD6342.